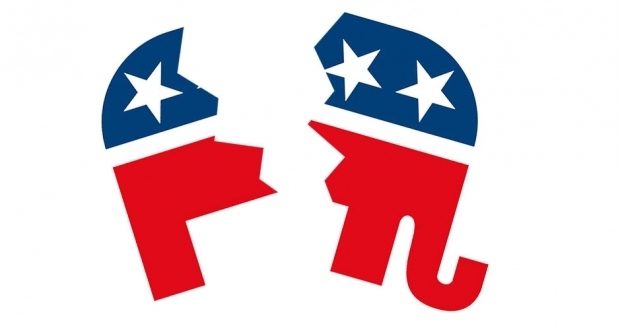 OK, we all know I have been involved in my share of intraparty fights. I was before, I will in the future. I do it because I fight for what I believe is right for my family and for the country and for Virginia. And I make no apologies for that. Our country was founded on the freedom to fight for what you believe in. But let’s be real honest. Republicans in Virginia are hurting right now. There are so many reasons why. Let me touch on some of those first. Long periods of GOP legislative dominance in Virginia, with virtually no accomplishments. Either overall accomplishments, or what Conservatives would consider accomplishments. Unwillingness of ossified “Old Guard” to allow new, more energetic candidates to assume more power. This leads to endless recycling of candidates way past their prime. Corruption. Why do we tolerate or excuse this?!? Bob McDonnell, Scott Taylor, Dominion Energy. The longer we excuse this behavior, the worse off we will be. A donor base out of step with the voter base. Virginia Republican donors are largely strictly pay-for-play, and this leads to corruption issues (see, McDonnell, Bob; Energy, Dominion; Morris, Phillip). The voter base wants to see policy results and donors have different agendas. When given the choice, politicians usually side with the $$$. Sabotage from the leadership of RPV, ever since the end of Pat Mullins’ chairmanship. The comically bad, disastrous tenure of John Whitbeck will go down in history as a key reason for the decline of Republicans in Virginia. If this guy runs for anything in the future, you can just chalk it up as a Dem win, no matter what the office. Incompetence on a scale rarely seen on that level in politics. But there is one additional component, the metaphorical “elephant in the room”, that prevents more ACTUAL metaphorical elephants from being in the legislative room. The eternal moderate/establishment vs conservatives fight is literally choking off the party. Now, I’m an avowed libertarian-leaning conservative. I will always push for smaller, less intrusive, less corrupt government, given the chance, in all situations. And I see much vice in GOP in Virginia in these regards. I have had zero problem challenging and defeating or weakening bad Republicans like Barbara Comstock or Scott Taylor. That is unlikely to change anytime soon. But as we saw with the Kavanaugh hearings, there is much at stake here. And we need to take notice. What has now happened, is that moderates (like pretty much anyone at Bearing Drift, and the SUV group up here in Fairfax, and the die-hard Ray Allen/Boyd Marcus people) and the conservatives (like most of the Bull Elephant writers, the Virginia First Foundation, the Conservative Fellowship) have basically decided to sabotage the nominee when their guy doesn’t win. Now, everyone knows in what low regard I hold Barbara Comstock and her supporters. I think American politics in general will benefit greatly from her absence. But I was good during the general election- I refrained from commenting on her faults, or advocating for her defeat, or any other such thing. Why? Because the people in that primary had spoken. And it would be a supreme act of arrogance to take away from that judgment. She earned her shot. She took it, and lost spectacularly- carrying only 5 precincts in Fairfax, and only two jurisdictions in the 10th (Frederick and Clarke). But she earned her shot, and deserved to take it without getting flak from her own party. Compare that with the nearly constant stream of bad-faith attacks from liberal outlets claiming to be on the right (I think these are actually Democrat plants), particularly from the Bearing Drift website. These people are dedicated solely and exclusively to attacking and defeating Republicans, on orders from their funders (themselves liberal Republican consultants). And they aren’t the only ones (just the most obnoxious); moderates in Fairfax and Henrico and Chesterfield are gleefully stabbing any conservative who wins a nomination in the back. There is some evidence of that happening in other places in Virginia also, including in the other direction (Conservatives contributing to the defeat of moderate candidates). Look, here’s the upshot of this: the different factions of the party are choosing to lose election after election on a macro level, rather than allow the other’s candidates to win. At some point, we HAVE to stop the bleeding. A “Grand Bargain” of some kind. Allow conservatives to take some areas, moderates others. You may not be dominant in the area of your liking, but your side will be guaranteed representation. A new leader at RPV. For the love of God, someone who realizes how deep the hole is and stops digging. Maybe even starts climbing out. Please. This could be a SUCCESSFUL unit chair (no, not me) without designs on future office, whose sole goal is to revive the party and give it goals again. Someone who can help chase this goal selflessly and be the bulldog the party needs (attacking Democrats, not Republicans!). SET BIG POLICY GOALS! When I became Spotsy unit chair, the county was #1 in Virginia in foreclosure rate. Many of my neighbors were losing their homes and their American Dream. And the county board had the gall to hike taxes to give county workers raises. I set a divided committee (I only won my Chairman’s race by one vote out of 200 cast) on the big policy goal of getting Spotsylvania’s first equalized tax cut in 37 years (at the time, that would have been before I was born). You know what? Everyone bought in. We recruited candidates on the basis of THAT policy goal, and we unified the party and swept into power for only the second time since Reconstruction. We also helped turn out the key state Senate win in 2011 (Bryce Reeves) who was the majority-making vote, very important, defeating an entrenched 28-year Dem incumbent. The moral? It’s easier to unite the party around big policy goals worthy of being a cause, than around personalities or labels. If we REALLY care about our fellow Virginians, and think our ideas are right for them, this SHOULD not be a problem. STOP apologizing! Don’t give the liberals any argument. Don’t retreat. Move forward without shame. That’s the REAL lesson of the Trump era, and while our style may be different, the substance should remain the same. Challenge every seat. Every one. Make them play defense on every seat. This is very important- and it will help our statewide candidates. Mullins and Bedell understood this. We don’t win by letting them have freebies. Challenge every one. I can’t guarantee that this will win, especially early on. We are really, really far down in a hole here. Like Massachusetts-far down. But it will help. OK, I’m off to raise some more money for candidates to go beat Democrats. Who’s with me? A former GOP unit chair and SCC member, Steve Thomas does fundraising and management for nonprofits.... with a little politics on the side. He and his family live in the Peoples' Republic of Reston.